Nothing could ever go wrong with an Apple gadget, including its prolific range of iPhones. While the premium iPhone X is considered a futuristic smartphone, iPhone 8 did not disappoint its customers the tiniest bit. Even with relatively diminutive timelines in their launch dates, the Apple iPhone 8 managed to achieve enough traction at its release. Knowing what it is like to have an iPhone and chasing that aspiration you’ll definitely want to put your hands on an iPhone 8. Though it physically appears to be much like its ancestral devices, there are myriad upgrades that you can be excited about. 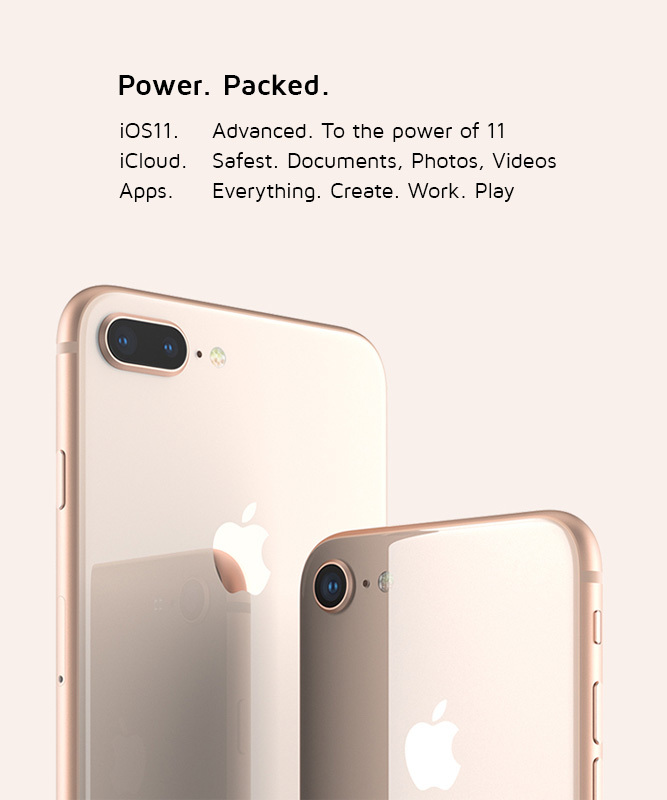 It is the first among its clan to bring the features of the exclusive A11 Bionic processor into the Apple iPhone landscape. This new smart chip has the power to boost gadget performance by almost 30%. Alternatively, the A11 chip also has a new image processor and a hardware noise reduction capability along with a low-light autofocus feature. The most durable glass back cover and faceplate of the iPhone 8 give it a classy look. Though time will show how this interesting body trait will stand up to splashes, dust or even scratches; for now, it’s best to enjoy this shift from a hard aluminum body to an exquisite glass enclosure. Another interesting feature of the Apple iPhone 8 is its base storage capacity. Setting in a new trend, the cheapest model of the new iPhone 8 offers a base storage of 64GB to accommodate all your over-sized apps as opposed to the 16GB and 32GB capacities of the previous models. And to use all these apps uninterruptedly, iPhone 8 embraced the technology of fast charging and wireless charging. All iPhone 8 shoppers can charge their phone wirelessly by placing it on any QI-compatible wireless charging pad. Alternatively, you can also charge the phone up to over 50% in less than 30 minutes by using Apple’s fast charger equipment. The true tone display feature of the Apple iPhone 8 makes the screen more light-sensitive and comfortable for your eyes. 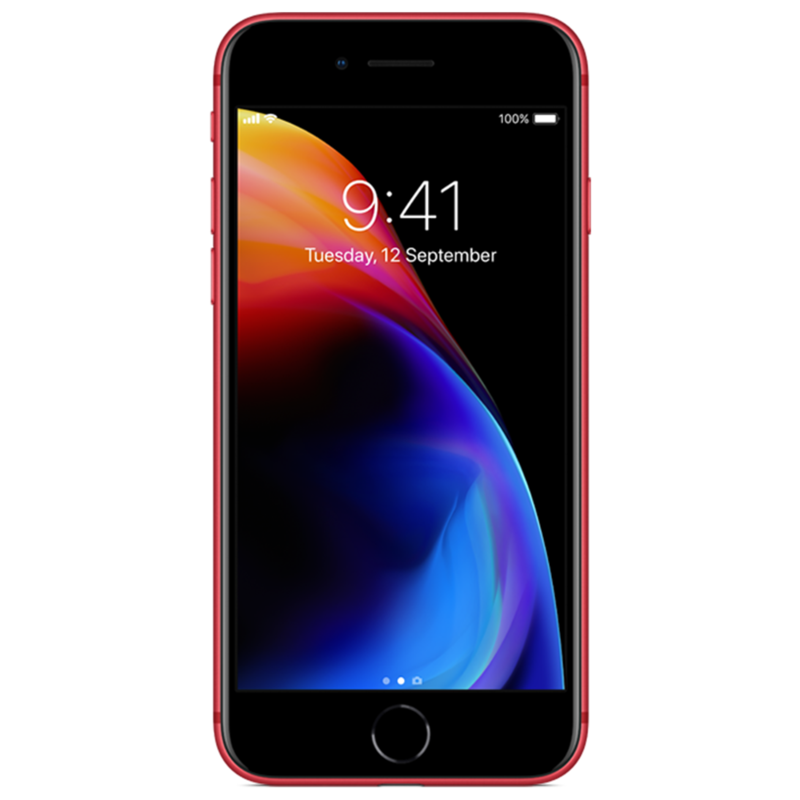 With 3 nifty colour alternatives, silver, gold and space grey, the iPhone 8 has something unique and upbeat for every iPhone lover. The price of Apple iPhone 8 increases with its storage capacity. If you want to purchase this revolutionary gadget sitting in the convenience of your home, you could place an order on the Maple online store. The Apple authorized reseller store not only offers you the advantage of a home delivery service, but it also provides you with the best price deals ever. With such reliability and cost-effectiveness, the Maple store should be your first choice for any Apple product.